We offer a full range of Fish Hawk property management services tailored to you as an investor, homeowner, or landlord. 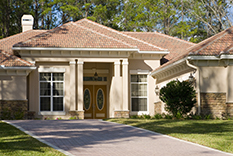 We have an extensive portfolio of single family homes, townhouses, condos, and apartments in the Fish Hawk area. FishHawk Ranch is an award-winning master-planned community with a diverse selection of sizes and designs for single family, townhomes, row homes and apartments. Located in the Brandon/Southeast Hillsborough County, FishHawk is approximately sixteen miles east of Tampa just south of the Alafia River. The family oriented subdivisions that make up FishHawk are FishHawk Trails, Starling at FishHawk, The Preserve, and FishHawk Ranch. FishHawk Trails and Fishhawk Ranch, built in the 1990s, formerly operated as a "ranch". More development is planned for this rapidly expanding area. The community is bordered by 2,000 acres of county-owned nature preserve and one-third of the community will remain conservation and open space. 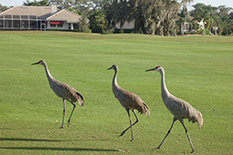 FishHawk is one of Tampa Bay’s fastest growing communities, largely accredited to the consistently "A" rated public schools within this premier suburban community as well as a wide range of recreational amenities such as an aquatic club, adult-only and family clubhouses, 40 acre community park, fitness center, golf nearby, tennis club, retail town center, and extensive walking & biking trails.